I have a lot of knives in my kitchen, which mean that I must sharpen them all the time. However, finding a great sharpener was a problem for me, simply because there are a lot of issues with them. Some are expensive and others come without any feature that I require. I was lucky to find the Chef’s Choice 320 Diamond knife Sharpener and I must say that it is a great model for house use. The best and the most important feature is the fact the Chef’s Choice 320 Diamond knife Sharpener offers two stages for sharpening. The first stage is for rough sharpening and the main component is made from the diamond quality material. The manufacturer claims that it will last forever and it is almost impossible to wear or damage this part. The second stage is for polishing and it makes any blade razor sharp. The end result is phenomenal and any knife will be sharper than ever. 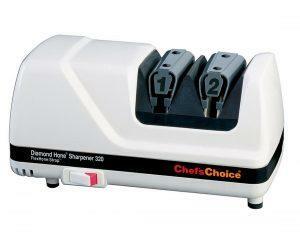 In addition, the Chef’s Choice 320 Diamond knife Sharpener requires less time to make any knife sharper than ever. It is more than needed feature when you don’t have enough time. Another feature that has to be mentioned is the spring that guides a blade. 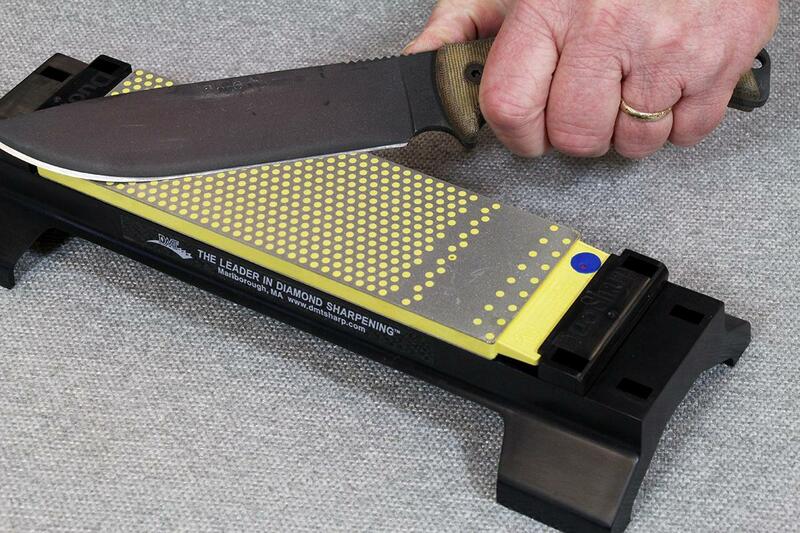 This addition makes sharpening simpler and more precise. The main goal of it is to hold a blade in the correct position, so the risk of damages will be eliminated and each blade will be perfectly sharp. Most models on the market have this system, but the Chef’s Choice 320 Diamond knife Sharpener is slightly better, because it is more precise and simpler to use. Another fact you should know is that any blade can be restored to a factory condition, especially due to this system. There is no point of saying that the system in question can be used for all types of blades and it offers the same result. Most chefs also claim that this addition reduces the risk of injuries, so the Chef’s Choice 320 Diamond knife Sharpener is safer than most models on the market available right now. The Chef’s Choice 320 Diamond knife Sharpener is treated as an entry-level model, but it comes with astonishing features that are reserved for far more expensive models. The most important one is the quality of the construction. It is far more durable than other models from the price range and it is well-made, so there are no drawbacks with the build quality. 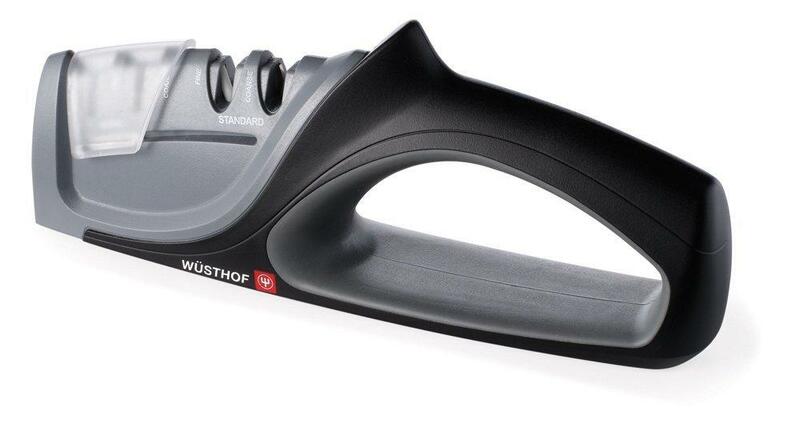 The stabilizing feet are also a useful addition that makes the Chef’s Choice 320 Diamond knife Sharpener much better and safer, due to the fact you will be able to use it on all surfaces, even the most slippery ones. This component is resistant to anything that would damage ordinary materials, so the entire Chef’s Choice 320 Diamond knife Sharpener will last for a long time, which makes it a wise investment. The price is affordable as well and this model has treated the most common choice and a great value for money. The quality and the simplicity are the best features of the Chef’s Choice 320 Diamond knife Sharpener. It has 4.6 out of 5 star rating. The Chef’s Choice 320 Diamond knife Sharpener is the best choice for homeowners, simply because it is affordable, well-made and it offers all the features you are going to need. This model is the safest choice you can make.